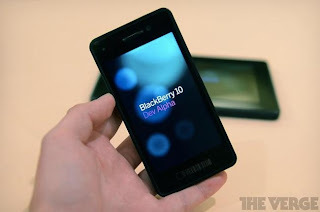 The long awaited RIM'S BLACKBERRY 10 DEVICES, as discussed earlier, was primarily scheduled to be released in January. Now, Jefferies analyst Peter Misek claimed that RIM will not be releasing any of its BB 10 devices until March. “We had hoped for a January launch but now see a March launch as more likely […] Also, our checks point to a tough November quarter, with replenishment rates decreasing as channel partners are cautious on holding RIM inventory. RIM is pretty much dependent on the BB 10 OS to keep the company afloat. The company is on a steady slide downwards. According to the latest reports, BlackBerry OS has been given some 4.71 percent of the global mobile operating system market, far behind Google Android at 28.01 percent and Apple’s iOS at 24.5 percent. That is quite a lot of downfall when compared to Blackberry being quite popular around a couple of months back. Until RIM can launch its next-generation smartphone platform, it’s dependent on an aging portfolio of hardware and software headed by the BlackBerry 7 OS. BlackBerry 10 is a very big overhaul of the BlackBerry operating system. It looks different, feels different and just works. It feels like it would work as the perfect option for the company to get back its fans as RIM is losing its share day by day to its competitors. It seems like worth waiting for the two month delay as the Blackberry 10 OS has got to be a superb product with so much of pressure over the RIM. 0 Respones to "RIM’s BlackBerry 10 devices more likely to launch in March 2013"